Fla. man, 14-year-old niece, dead after chase from Colo. to N.M.
SHIPROCK, N.M. - The two people who died after leading police on a wild chase from Colorado to New Mexico were a Florida man and his 14-year-old niece, reports CBS affiliate KRQE. Deputies say there is a possibility 31-year-old Benjamin James Edwards III was having a sexual relationship with the girl. Monday, the two drove off without paying for gas at a Cortez, Colo. gas station. They then led deputies on a two-hour chase, firing shots along the way. 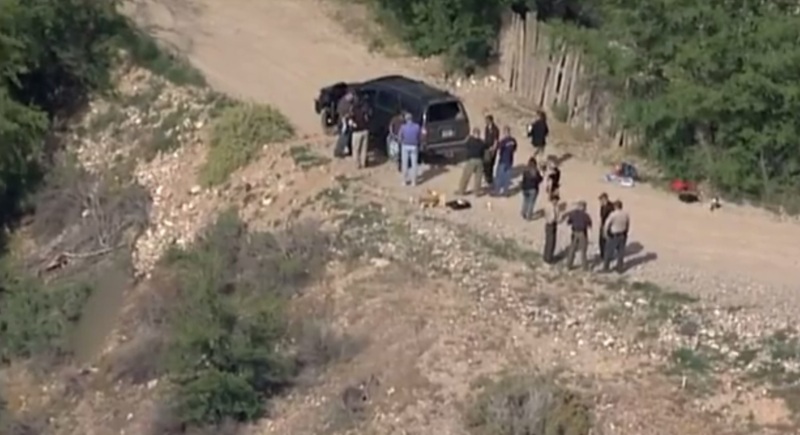 The chase ended when their SUV crashed on a dead-end road near Shiprock, N.M. When deputies approached the vehicle they found the young girl and Edwards dead from what appeared to be self-inflicted gunshot wounds to their mouths. Officials said no officers fired at the vehicle during the pursuit. Investigators said Edwards was a person-of-interest in the theft of a firearm and the disappearance of his 14-year-old niece. But Lt. Kyle Lincoln of the San Juan County Sheriff's Office told KRQE that police are still trying to determine if the girl went willingly or was kidnapped. "She had been listed as a runaway numerous times ... two weeks ago, I believe, she ran away and was found at his house," Lincoln said.